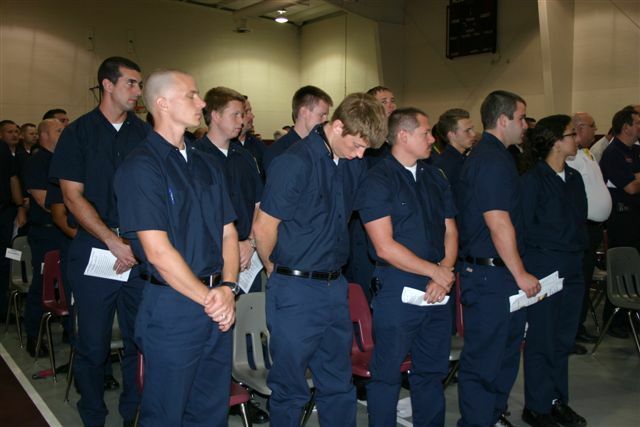 Up and coming heroes as well as current, retired and veteran Responders were honored at Operation Safety 91's 1st Annual Tribute to Honor America's 1st Responders at Orlando Union Rescue Mission. OS91's 1st Annual Tribute was a grand success with Responders from all over Greater Orlando joining in the festivity. 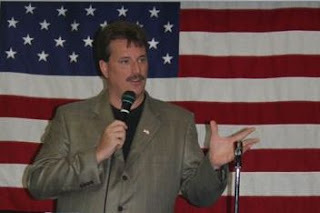 Special guest, Guest singer, Nashville's Eric Horner, who toured U.S. Military bases around the world for six years with Lee Greenwood's "God Bless the USA Tour" performed for Responders and guests. 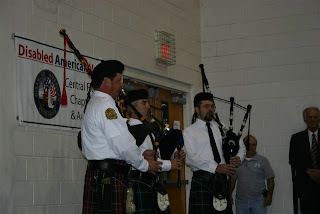 Amazing Grace was played by Rosie 'O Grady Bagpipers during the Memorial. Among those who made remarks were Chief James Reynolds, OFD, Mayor Scott Vandergrift of Ocoee, and others. Responders were deeply touched and thanked OS91 for the Tribute saying with tears, "No one has ever done anything like this for us before!" A very emotional moment in the Event was when students personally thanked each individual Responder present for their service. There was hardly a dry eye in the building! Local Responders showcased their Artwork before the Event. 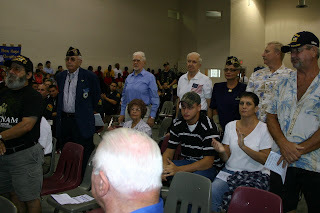 A group of veterans were honored during the Tribute. 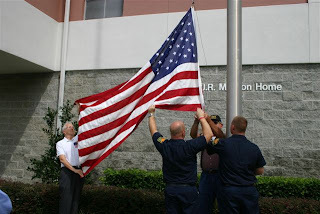 OS91 donated the 4' x 6' U.S. Flag stage backdrop to Orlando Union Rescue Mission in gratitude for their gracious hosting of the Event. New Hope Christian Academy of Minneola, FL and Tri-L Christian Academy of Orlando, FL participated in the Event. 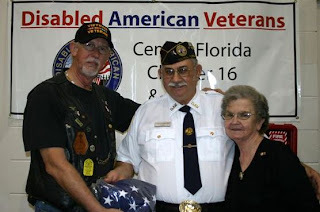 Orlando DAV Chapter 16 well represented by Chaplain Lyle Schmeiser and his dear wife, Evelyn, and a Vietnam vet. 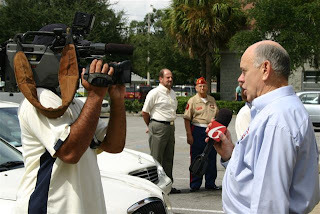 Following the Event, Channel 6 interviewed OS91 Founder, Edward Ganster.